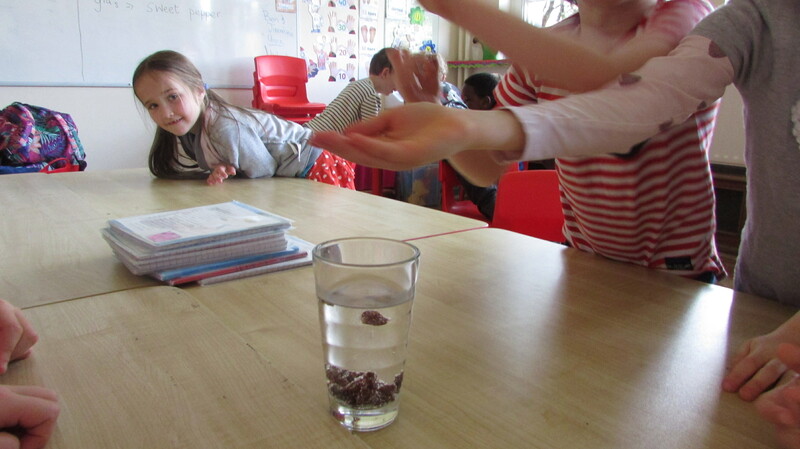 Investigate what happens when we put raisins in sparkling water and 7up. 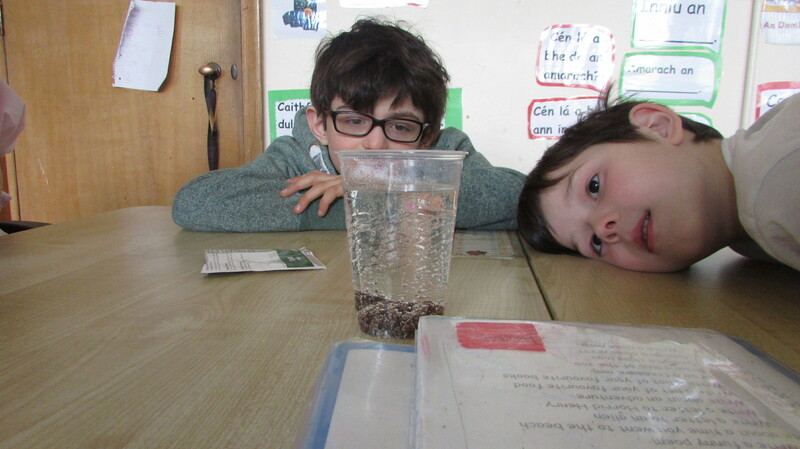 This week we wanted to investigate what happens when we mix objects of different densities, ie. 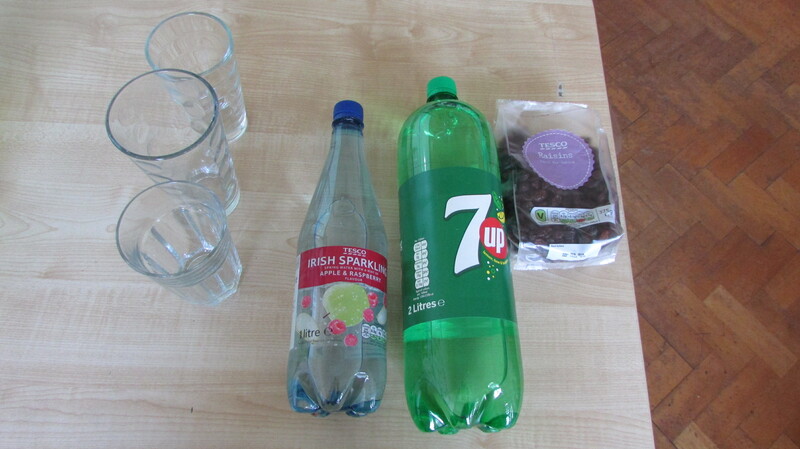 raisins and 7up. 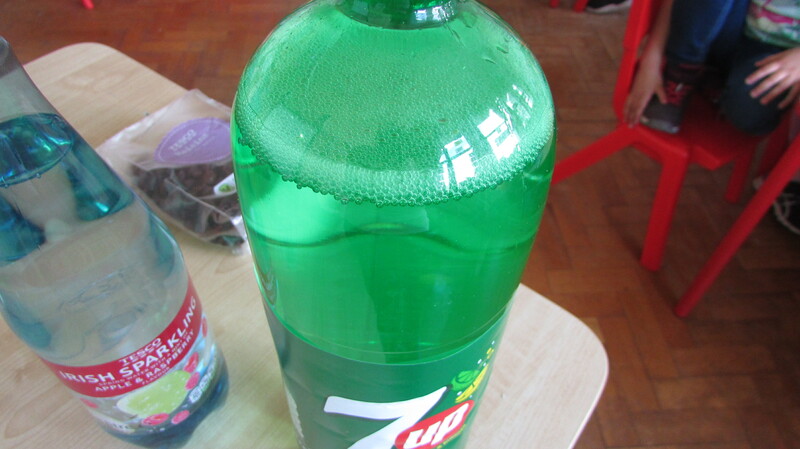 We chose 7up but any clear fizzy drink will work. We poured the 7UP into the tall glass. We noticed the bubbles coming up from the bottom of the glass. The bubbles are carbon dioxide gas released from the liquid. 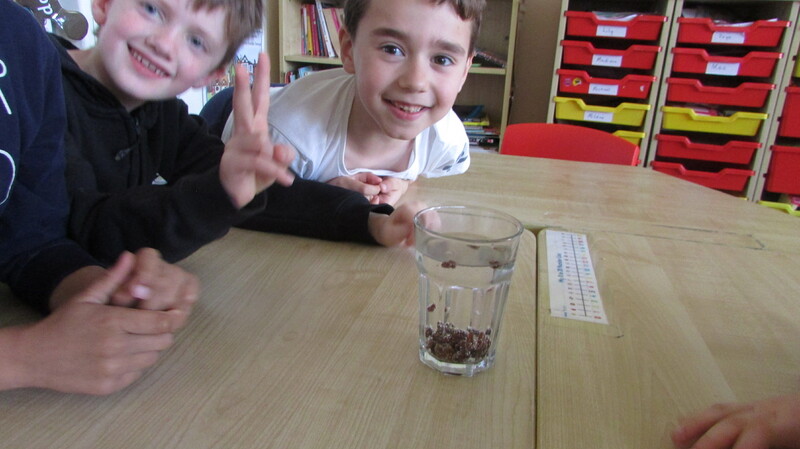 We dropped 6 to 8 raisins into the glass. 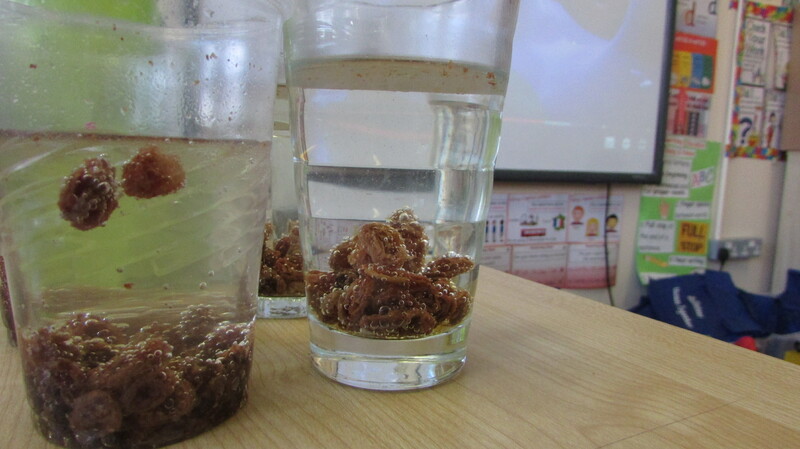 Raisins are denser than the liquid in the soda, so initially they sink to the bottom of the glass. The carbonated soft drink releases carbon dioxide bubbles. When these bubbles stick to the rough surface of a raisin, the raisin is lifted because of the increase in buoyancy. When the raisin reaches the surface, the bubbles pop, and the carbon dioxide gas escapes into the air. This causes the raisin to lose buoyancy and sink. This rising and sinking of the raisins continues until most of the carbon dioxide has escaped, and the soda goes flat. Furthermore, with time the raisin gets soggy and becomes too heavy to rise to the surface.